Where Will the Line Be Drawn? 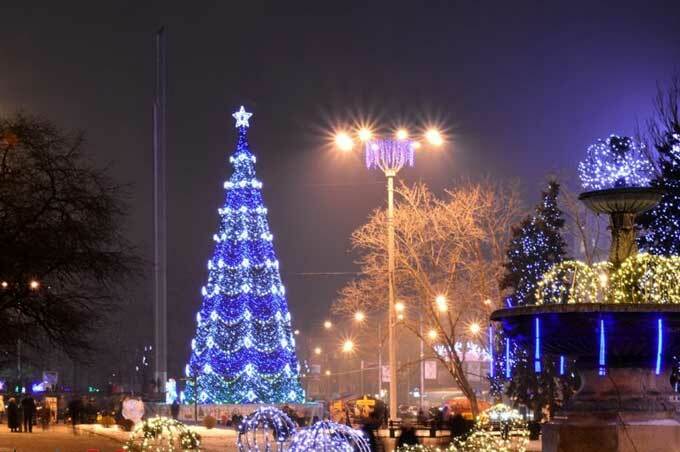 Kiev is using the strategy of slow advancement. 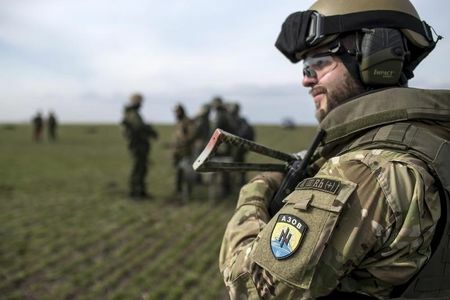 It is a creeping invasion that unfolds at a slow pace, never quite triggering military retaliation on the part of the Novorossiya Armed Forces (NAF). 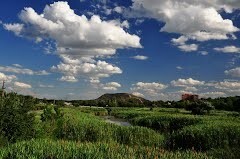 The glacial advance on DPR territory has been in progress since the downfall of Shirokino. Shirokino, a small town on the Azov Sea, used to appear on war maps as belonging to the DPR. Now it appears under the Ukrainian flag. How did this travesty occur? The order seems to have come from the Kremlin. Moscow, employing official Russian military advisors at the Joint Center for Control and Coordination (JCCC), orchestrated the unilateral withdrawal of NAF troops from Shirokino in July 2015. 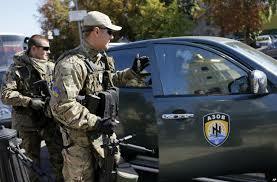 This fiasco led to the immediate and predictable Kiev-aligned Azov Battalion capture of the vacated town. 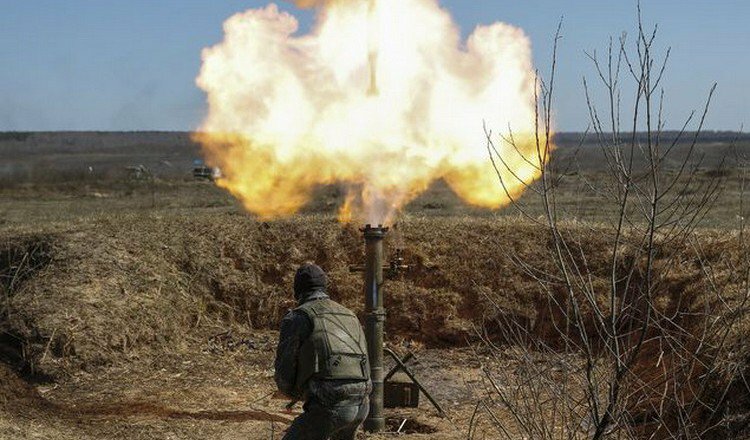 The creeping Ukrainian invasion has been facilitated by Moscow, whose JCCC agents also engineered, during September and October 2015, the NAF’s unilateral withdrawal of weapons of caliber up to 100 mm from the entire contact line, leaving a strip of Novorossiya undefended. In early December 2015, Ukraine captured, without a shot, some eight villages along the contact line. These villages were not in Kiev-held territory at the time of the signing of Minsk 2.0. This was a minor de facto invasion—minor because it meant the loss of “only” a sliver of territory, de facto because you could plausibly argue these villages stood in a “grey zone” meaning no one was “sure” who the towns “really” belonged to. As a close Donbass watcher since March 2014, I had never heard the term “grey zone” applied to any region of Donbass—until Kiev began taking towns in that zone. The previous terms for the area along the contact line were “buffer zone” or “conflict zone”. These terms designated weapon-free zones as mandated by the Minsk agreements. Never did these terms imply that neither side administered the towns. That is, not until December 2015. Grey zone? As I said before, I had never heard of such a zone. My impression when I read this was that Basurin invented the term to gloss over the Ukrainian invasion by helping to make Kiev’s advance seem plausible, thereby making NAF inaction seem plausible so no one would get too upset. It seemed to me like a coverup. After all, DPR leaders had promised again and again to retaliate if Ukraine violated their borders. The DPR promised to return their militia to the front, despite the so-called ceasefire, should Ukraine invade their territory. So how could DPR leaders keep their word, if they admitted there was a Ukrainian invasion and the NAF did not respond? They couldn’t. So they didn’t admit it. The DPR took no military steps to recapture the stolen towns. The only measure they took was to complain to the OSCE—a toothless Western European organization charged with monitoring the ceasefire. Such appeals are a lame gesture to keep up political appearances. No DPR observer could possibly be fooled by the OSCE’s pretense of neutrality. Nor does the OSCE have any enforcement power. Enforcement is the sole preserve of the DPR milita: the NAF. 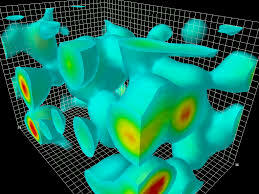 “Grey zone” silent seizures fall in the category low intensity aggression. Armed captures of non-grey-zone villages represent mid- to high-intensity aggression. The fall of Shirokino was a case of high intensity aggression. The UAF and Kiev-aligned battalions fought savagely for the village and won it. Shirokino shows up on early 2015 Donbass maps as belonging to the DPR. The NAF controlled the village—until Moscow, using the JCCC, engineered their withdrawal. The pretense at the time was that Ukraine would not in turn march into Shirokino, that the village would remain neutral, and that therefore the withdrawal was not “really” a surrender. 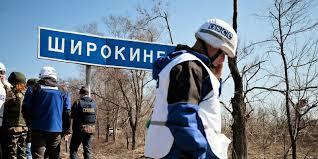 No Donbass observer could have believed for a minute that Ukraine would not seize Shirokino. The pretense that they would not—a sham maintained by the JCCC and the OSCE, who monitored the withdrawal, as well as by DPR Speaker Denis Pushilin and Eduard Basurin—was again an effort to gloss over the DPR leadership’s betrayal of its promise to defend Donbass. Shirokino was the first village taken through high intensity conflict since the signing of the ceasefire in Minsk. Kominternovo threatens to become the second. 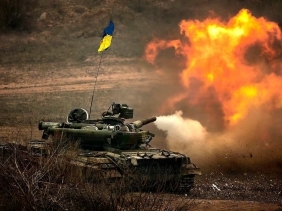 Over the past two weeks, the UAF has shelled the village repeatedly. Kominternovo was shown on October 2015 war maps as flying the DPR flag. There was no ambiguity about which side it’s on. It was not in any “grey zone”. Nor has the UAF been “silent” in its aggression. Yet Eduard Basurin promises that if Kiev takes Kominternovo, he will appeal to the OSCE. 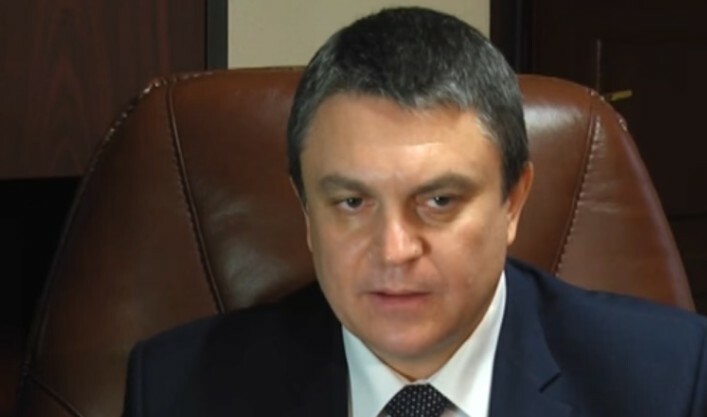 This means the DPR has no intention of launching a military defense. Kominternovo would become the second town to fall due to mid- to high-intensity aggression. Through glacial but steady advances, Kiev is testing the DPR. 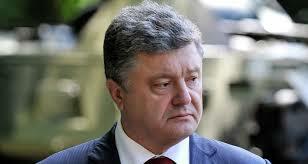 How far can Poroshenko push his stealth invasion? Nobody knows. If Kiev advances slowly enough, maybe the NAF will never respond. Just where will the line be drawn? 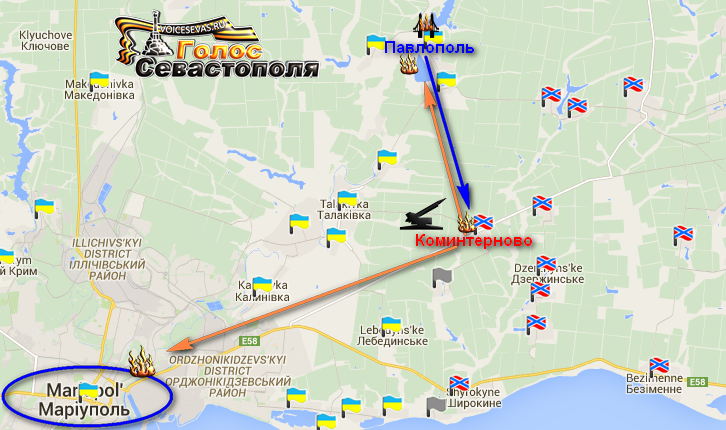 Will DPR leaders let Kiev creep from Kominternovo to the Russian border? Or from Shirokino to Novoazovsk? Like the stealth tactics of China, Kiev keeps saying, village by village, that the village was already theirs. 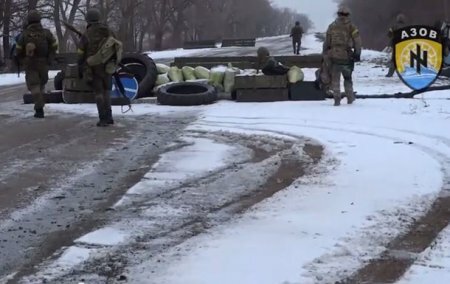 Enemy media now claim the DPR illegally occupies Kominternovo, and that this means the DPR is ready to advance on Mariupol. Ridiculous? Of course. But that is the stealth tactic. Just like China, you advance slowly while accusing the enemy of occupying land that was already yours. 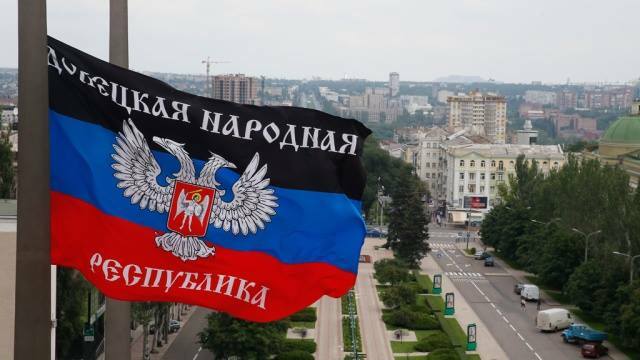 Is the DPR waiting to defend its borders until Kiev advances with maximum intensity aggression? What if it never does? What if Kiev never launches a full military invasion, but patiently continues its stealth creep across the DPR’s narrow southern panhandle, or back into Debaltsevo? Eduard Basurin and Alexander Zakharchenko never mention this dire prospect. The topic is taboo, conspicuous by its absence. Zakharchenko has said he wants to avoid war for the sake of nation building. He clings to the Minsk Agreements, creating a pageant of observing them by offering unilateral surrenders, while boldly promising a military defense should Kiev invade in the future. His words carry power, and his State of the Nation Address was impressive. But his words are disconnected from action. A line has to be drawn. Zakharchenko has drawn lines before, and then let Kiev cross them, a pattern that began with Shirokino. Where really is the line? Is Kiev feeling around for that line, inching forward with stealth tactics to determine exactly where the line is, or whether it even exists? And if Zakharchenko draws a new line, who is going to believe it?